Check with your doctor before beginning an exercise regimen. If you suffer an injury begin treating it immediately with the RICE (Rest, Ice, Compression, Elevation) principle of acute injury management. Perform some kind of exercise 2-3 x per week as a minimum for best results. Seek the advice of your Physical Therapist for suggestions and guidance of a whole body exercise routine. 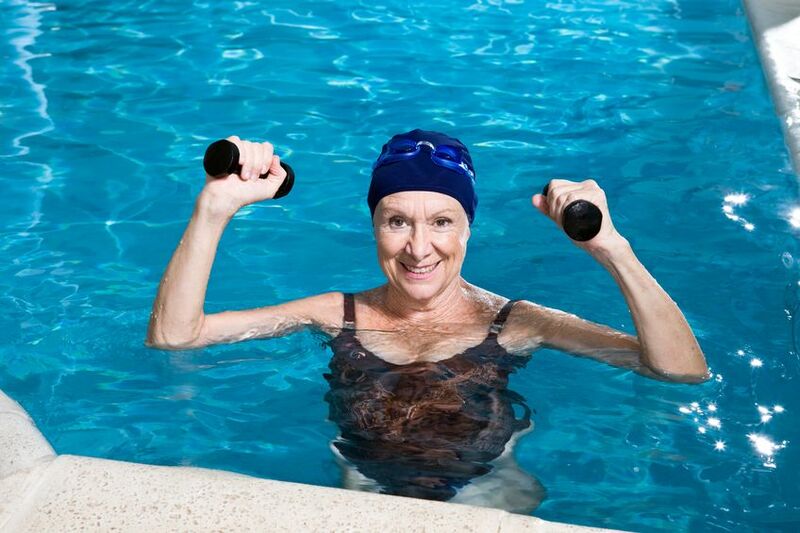 More and more people are realizing the value of staying active during the aging process. Senior Citizens who engage in activities, events and sports are more likely to enjoy a healthier, more satisfying life. Whatever our age, we would all do well to rehearse the motto, “Get in shape to play the game, don’t play the game to get in shape”. As we age, we experience negative effects in all the systems of the body, but the two systems most commonly impacted include the musculoskeletal and cardiovascular system. One essential way to respond to these challenges is by staying active. A well-designed exercise routine that is performed consistently can help to reduce many aspects of cardiovascular disease, peripheral artery disease, high blood pressure (hypertension). Regular activity can increase strength and reduce weight, benefiting the musculoskeletal system. Gains in strength, endurance and flexibility can help to reduce or prevent the symptoms of osteoarthritis and can even help with balance. Our posture can even be improved through certain exercises that help prevent the loss of vital reflexive movements needed to maintain an upright posture. An exercise routine will also positively affect diabetes, cancer, and general mental health. A thorough program for staying active should address strength, endurance, neuromuscular control/balance and flexibility. Activities don’t always have to be extremely strenuous to be to get big results. 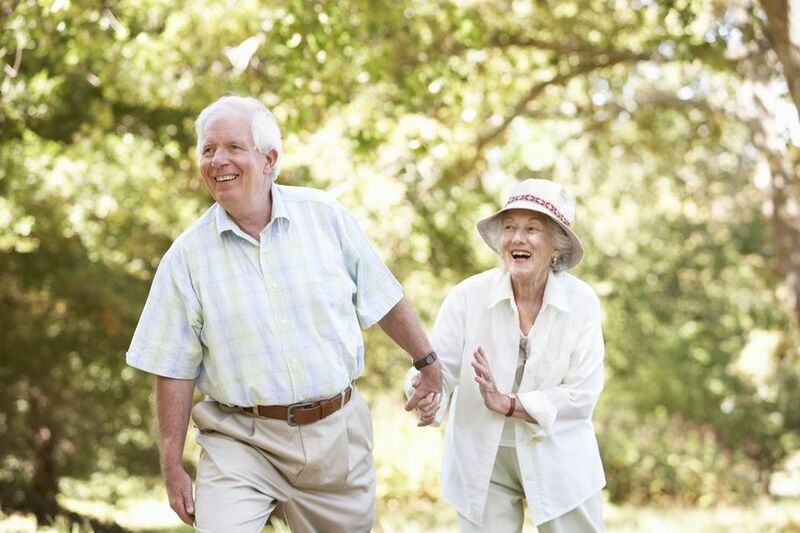 Walking, swimming and gardening are some activities that can be used as the foundation of a regular exercise routine. Various sports and activities with specific drills can be infused to complete a well-rounded, whole body regimen. When starting any exercise routine, it is important to see a physician and get an okay first. It is also important to begin slowly. Senior citizens do not “bounce back” energy wise as well as younger individuals. The Senior citizen is susceptible to injuries due to weakness in the core and lower extremities that can lead to falls or overuse syndromes. Other challenges might include balance issues due to weakness or decreased sensation (neuropathy) in the legs. A lack of stamina or endurance particularly in the musculoskeletal and cardiovascular systems is another challenge. Some seniors may also lose mental focus quickly, causing them to perform some of the routine with poor mechanics or in excess. This can lead to an injury of some body part. By beginning slowly and remaining consistent, a person can achieve positive results. It is important to include a warm up and cool down period into the routine. Also, the program or equipment may need to be modified to help a person with physical limitations get the full benefit from the routine. Seniors should plan to exercise two to three times a week at minimum. By pacing and gradually increasing repetitions, resistance or time, seniors can avoid burn out and reduce the likelihood of injury. By staying active over time, we build endurance. This is time consuming and requires a consistently steady approach. To build stamina, whether it is muscular or cardiovascular, it requires weeks and months of consistent exercise. Walking – Someone should strive to walk a minimum of 5000 steps per day. Anything less than this will assuredly lead to a poorly conditioned body and not enable someone to get the most out of life. Using a pedometer is recommended and try to build up to 7-8000 steps per day, minimum. This will be a great beginning and foundation for the rest of your exercise routine and any activity or sport that you want to do. Resistance Exercises – Inactivity, hormones, decreased metabolism and the lack of proper stimulation of the muscles can cause us to lose strength throughout the musculoskeletal system as we age. Some kind of resistance exercise can help. Weights, machines, resistance bands, therapeutic balls and life activities that require lifting and moving an object(s) can accomplish the task of adding resistance to the musculoskeletal system. When choosing a gym-based strength training routine, start with lite resistance. Perform all of these exercises in sets of 2-3 and perform 10-15 repetitions. When attempting to “over-load” and add resistance, the final 2-3 repetitions in each set should be somewhat difficult to perform. The key is to be sure that the form is perfect and that there is no joint pain. It would be great if the muscles that are being exercised would hurt or burn a little bit. Balance Exercises – Losing balance and falling is a major concern in the senior population. People usually fall when they lack adequate strength in the core, hips and lower extremities. Their nervous system might not be as efficient as it could be, and the re-education of the neuromuscular communication must take place. Simple exercises such as standing on one foot or performing single leg squats are a great way to develop strength and increase the neuromuscular control in the core and lower extremities. When performing these exercises, you should be close to a stationary object so you can hold on to it if necessary. Seniors grew up in an era that that did not include a great deal of physical preparation to play a sport. Most participated in different sports at different times of the year and this helped them to maintain their physical fitness and prevent over-use injuries. Unfortunately as people age they become more sedentary in most instances. If they do not spend the time staying active to prepare for an upcoming season, they could find themselves suffering an injury that limits their ability to perform everyday activities.